As soon as news broke that Kimye named their son Saint West, conversations started about other notable celebrity baby names. 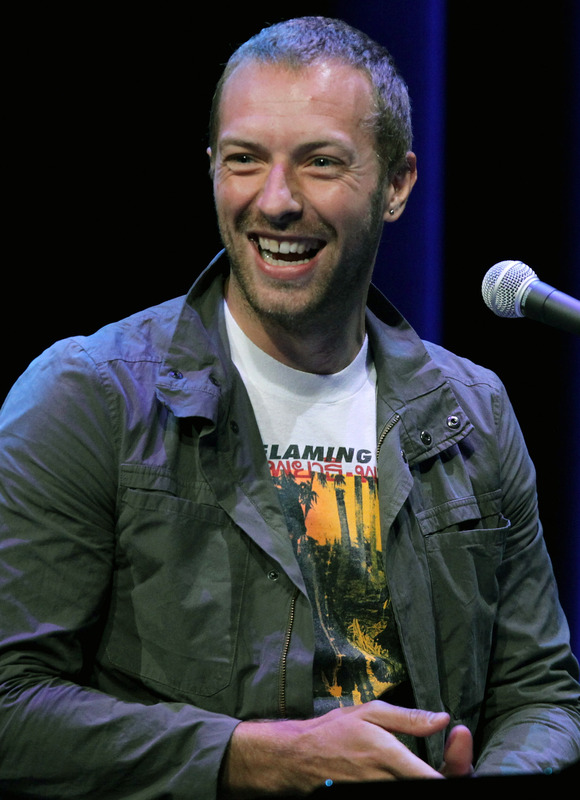 For some reason, people still aren't over the fact that Gwyneth Paltrow and Chris Martin named their daughter Apple. Given she's now 11 years old, the discussion should definitely shift from her name to her musical abilities. Paltrow recently shared a video from her daughter's holiday concert, and let's just say the "Apple" doesn't fall far from the tree. The Coldplay singer's daughter is really following in his footsteps and seems to have inherited his music skills. In the adorable video, Apple is singing and strumming a guitar. She looks just like a mini version of Paltrow, meanwhile she has her dad's musical talent — it's the best of both world. I bet if given the chance, she probably has her mom's knack for acting too. With those genes, this kid is born to be a star. Not only is she talented, but there's another fun fact that Paltrow recently revealed about her daughter: She's a big fan of Taylor Swift. On Swift's recent birthday, the Shallow Hal actress posted a photo of Apple and Swift hugging, and in the caption said that she's her "biggest inspiration." So, so sweet. Here's a round-up of other times that Apple was the coolest 11-year-old around. Because I guess with parents like Paltrow and Martin, it just comes naturally. As mentioned earlier, Apple admires T. Swift. Like Paltrow says in the caption, Swift is a "girl boss," so I think she's an awesome role model for an aspiring musician. I love that Apple just casually hangs out with Bey, as if that's something middle schoolers do all the time. It's like she doesn't even realize how cool she is. While she may have her dad's musical skills, she and her mom have matching Halloween costumes and that's equally rad. On International Girls Day, Paltrow took a moment to give her daughter a shoutout. It seems like Apple's parents are raising her as an empowered young woman and that's so important. Here's a precious photo of her hanging with Martin. Perhaps they had a little sing-a-long after? All in all, this family is filled with talent! Maybe Apple and her younger brother Moses can start their own rock band? It'll be like Coldplay, Part 2.